Mayo | 2012 | Sana Ako si Ricky Lee! I always believe that before anything happens we always receive omens or signs that’s something is about to happen. Previously, I’ve written about a post wherein I shared some signs that indicated that my father’s travel luck is quite bad, because we were not as receptive as we need to be, the said signs were ignored and as a result my father had an aneurysm and died in China. Today, I try to pay close attention to the different signs and omens we receive every day. I still need to improve a lot on my ‘receptiveness’, because there are times that I still miss out on some important omens that either serves as a warning or bringer of good news. Before I share some of the most common good omens, I first would like to share what are omens. I believe that omens are celestial messages, meaning these are messages from the celestial world or the universe or the Buddhas, Bodhisattvas, Deities, Immortals, etc. to communicate with us what may happen. There are a lot of possible omens but for now allow me to share some of the most common omens. In the morning, if I hear birds singing or chirping, it’s an indication that my day is going to be good. This is more so if I have a big event or something important going on that day. 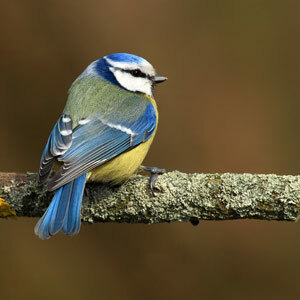 Other than chirping birds, if I see a bird outside of my window I also take it, as an indication that the day will either be good or that there’s good news coming my way. Generally speaking, if chirping birds wakes you up or if you see a bird outside your room it’s an indication that there’ll be good news. If while thinking of a problem that you’re going through you suddenly meet a pregnant woman who for without reason smiles to you, or if she’s well dressed and wears nice big jewelries, this would mean that you’re problem is going to be alright and there’s no need for you to worry. 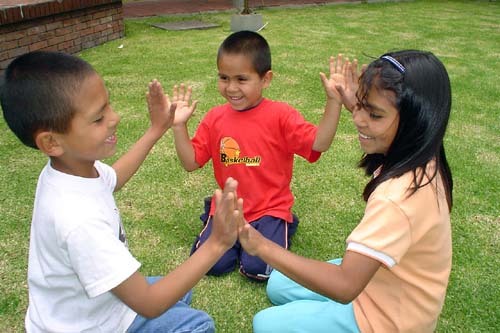 A group of happy children, or bumping into a religious celebration such as a ‘fiesta’, or if you come across a person carrying religious items/symbols/images (except for a cross) it usually means that something good is on your way. If you or somebody in the family or somebody you love is sick, and one of the first thing that you see white flowers seven times in the first 3 hours after you wake up it usually means that whoever is sick is going to get well. The seven white flowers may be real flowers or images in the TV or magazine or newspaper, however, please note that if you have existing images of white flower in your house or offices they don’t count as part of the seven. The white flower may come as one piece or a bunch of white flowers, but you need to see it 7 different times. Butterflies are also bringer of good news. Bees are an indication of good news also, although this would also indicate that the good news might come in a ‘bad packaging’ or blessing in disguise sort of good news. 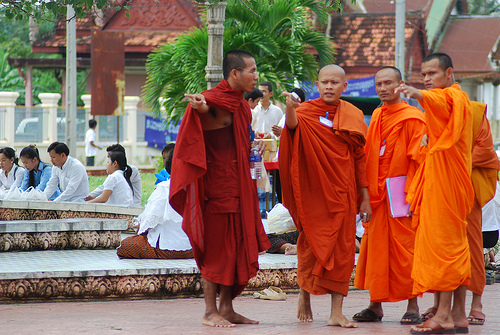 In countries that has a lot of Buddhist monk this doesn’t count much, but for non-Buddhist countries like the Philippines, bumping into or coming across a Buddhist monk or nun is also generally a sign of good news. I’m on a diet and I found out one of the best way to lose the unwanted excess pounds is to avoid sugary or sweet foods. Needless to say the one that goes on top of the list are cakes! Admittedly, I have a fondness for sweet foods and it’s quite difficult to avoid pastries or cakes, but since I’m bent on shedding off the excess weight I’m determined to avoid eating sweet food and has reserved them for special occasions. Last week, a friend from Singapore came to visit and after having lunch at Sariwon we went to the Cake Club, and because her visit is a special occasion I gave in to temptation and face a diet man’s worst nightmare-pastries! Unfortunately, I was unable to get pictures of all the cakes of Cake Club, and since I was trying to avoid giving in to temptation, I told my friend to order for us. She ordered the Ispahan and the Super Moist Cake. We share both of the cakes. The Ispahan is probably the best French Macaron in the country, I never thought I’d say that because I always considered Sweet Bella’s French Macaron as the best, but Cake Club’s French Macaron’s really beats that of Sweet Bella’s and that’s saying a lot because Sweet Bella’s French macaron is actually very good. Ispahan is a French Macaron with a twist. I don’t really know what you call it, but for me it’s like a Macaron sandwich. 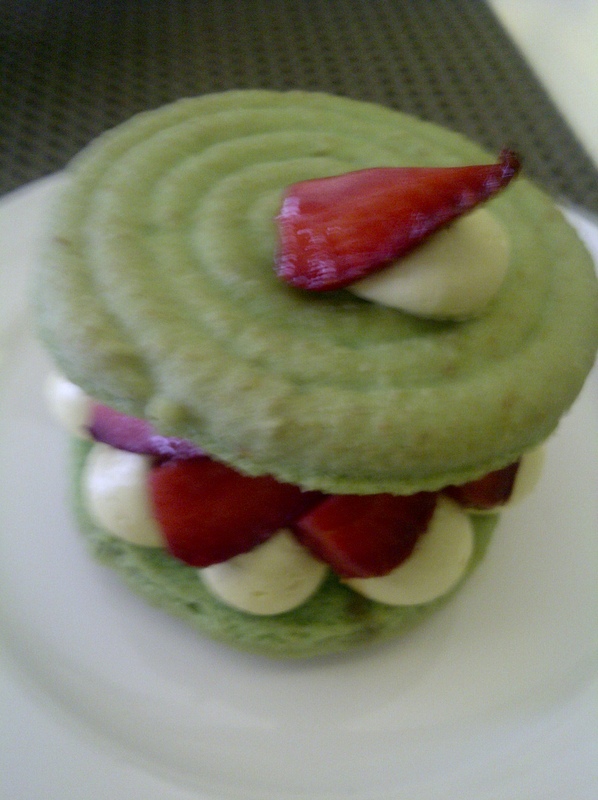 There are two Pistachio French Macaron sandwiching fresh strawberries and some cream. The taste is just like heaven. You should try it for you to really understand what I’m saying. 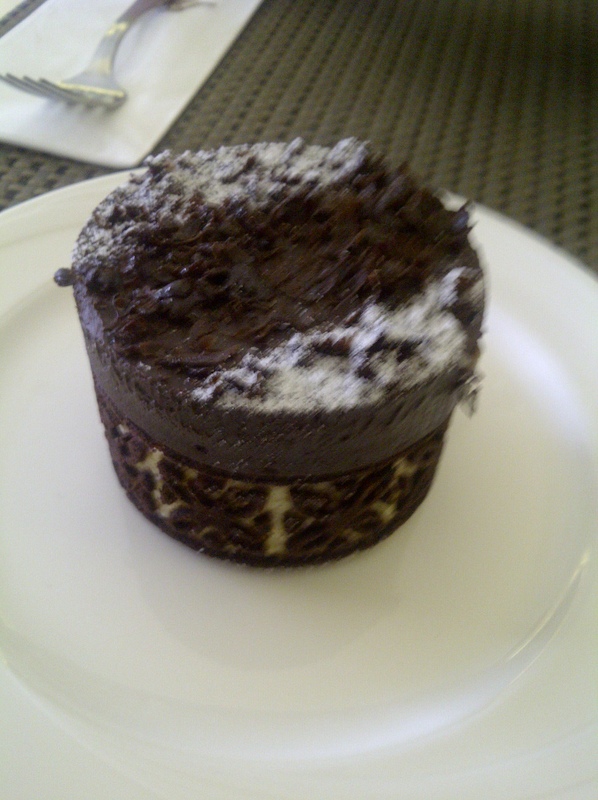 The other cake that we shared is the Super Moist Chocolate Cake…and it really is super moist. It’s actually good and once you’ve bite into it, you’ll forget about whatever it is you’re talking about and you’ll tend to just focus on the cake. It’s really good! The Cake Club is at the Bonifacio High Street Central. NOTE: THIS IS AN UNPAID, UNSOLICITED REVIEW. Posted in: Kuwentong Malinamnam: Mga Food Tripping Ko. 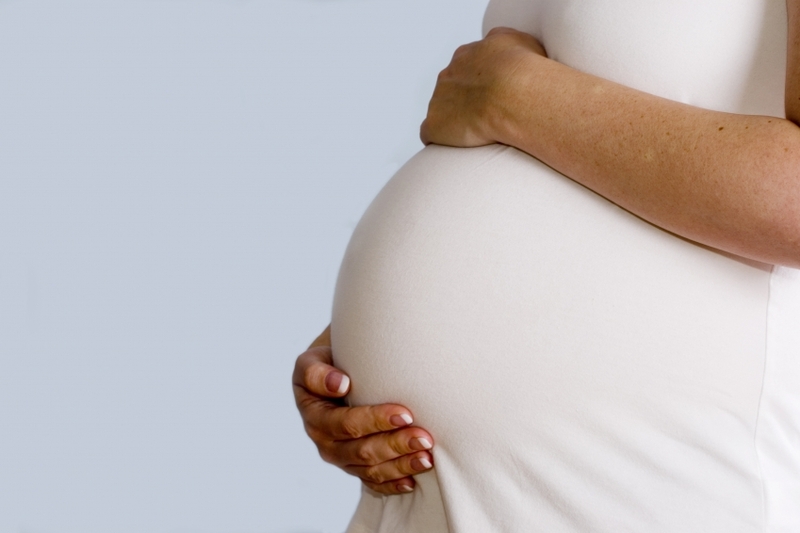 There’s a belief that pregnant women naturally brings luck to the house and drives away negative energies. Well, generally speaking this is a myth. Generally speaking, the belief that a pregnant woman brings good luck and drives away negative energies and/or evil spirits is a myth. Pregnant women doesn’t bring luck per se but it’s more of an indication or omen that good luck is about to come your way, and this is true only if you bump into a pregnant women who doesn’t live with you. If you have a problem and while thinking about it you bumped into a pregnant woman, or open the TV and saw a pregnant woman then it’s a very good sign that whatever problem you’re going through is going to turn out fine. Second, having pregnant woman in the house will bring good luck and drive away negative energies is very much true in the olden times, but, I’m afraid that while it may still have some truth to it, it is not because of the pregnant woman itself but more of the process of giving birth. What brings luck is the yang energy brought about by the process of giving birth , which in the olden times usually happens at home. It’s the blood spilled in the process of birth that cleanses the house of the woman from negative energies and/or evil spirits thus cleansing the house. One other thing that brings luck to the house is the fresh and pure yang energy of a healthy baby. In my last post, I wrote about Ushnisha Sitataputra who is better known as the The White Umbrella Goddess. While, I highly revere Ushnisha Sitataputra I unfortunately, or maybe fortunately, don’t have a highly miraculous personal story that I can share about her. However, allow me to share the story of a Canadian Buddhist who I met in one of my trips in Legaspi, Albay. B works for an international NGO, and she was assigned in one of the remote town in Albay. Because she was assigned in a remote town that has no internet she’ll have to travel to Legaspi City every Monday to be able to do her paper work and reports and email them to their regional head. She would usually stay at the volunteer’s house rented by their NGO for them. The house also functions as an office. 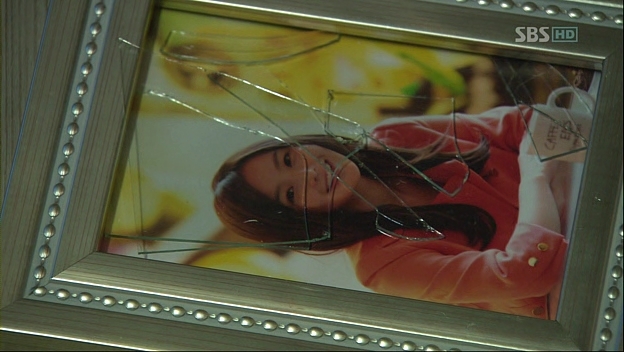 In one of her overnight stay at the Volunteer’s House an accident happened. The Filipina that they hired to help them keep the place clean forgot to turn off the electric fan that she used in the kitchen, they’re not sure whether it overheated or there was short circuit but whatever happened it created fire. At that time B and four other volunteers where in the house, but B was sharing a room with another female volunteer from Singapore. B and her roommate were woken by shouts and banging from their door. When her roommate opened the door, one of the other male volunteers was shouting, according to B she didn’t really hear what he was saying because she already saw what was happening, the thick smoke outside their room indicated that there was fire and it was already bad. According to B the three male volunteers attempted to go down the stair s but is unable to do so because of the thick smoke. They went inside B’s room and attempted to break the window. But typical of Filipino houses they were actually ‘barred’ from going out through the window. Unable to break the window, they all went to the only other room occupied by the male volunteers, but again their efforts to break the window proved futile. They were all in panic and felt that they’re trapped. B said she unconsciously touched the The White Umbrella Goddess pendant she is wearing, and something prompted her to recite the short version of the mantra of Ushnisha Sitataputra, she said she’s not sure how many times she recited it but soon after reciting the mantra she remembered that there is a fire escape which is weirdly accessible through the window in the restroom. She called everybody and while everything was burned to ashes, B and her co-volunteers escaped unharmed. She firmly believes that it was The White Umbrella Goddess who saved them. 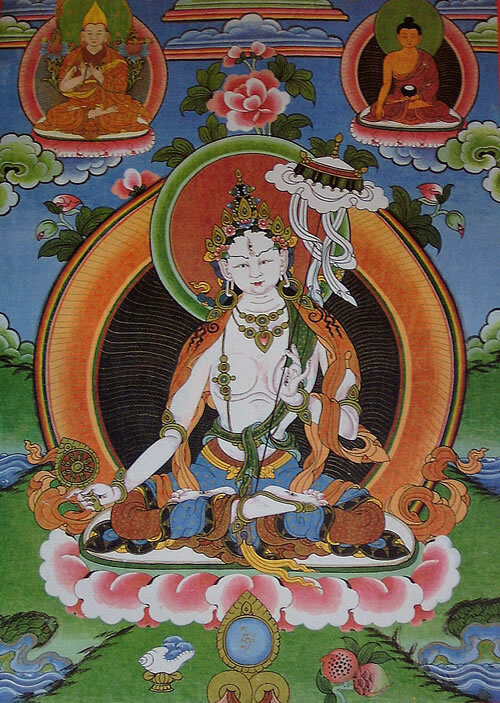 According to Lama Zopa Rinpoche, one of the fastest ways to tap Ushnisha Sitataputra’s protection and/or blessing is to wear or have her image in your house and recite her mantra. The mantra of The White Umbrella Goddess is a mouthful but a very powerful one. Allow me to share with you her mantra. This is one of the mantras that I regularly recite, and although saying it 7 times a day, everyday, is powerful enough, I prefer reciting one full mala at least twice a week. The short version of the mantra is HUM MAMA HUM NI SOHA. But it is advisable that you recite the full mantra three times before saying one full mala of the short version. 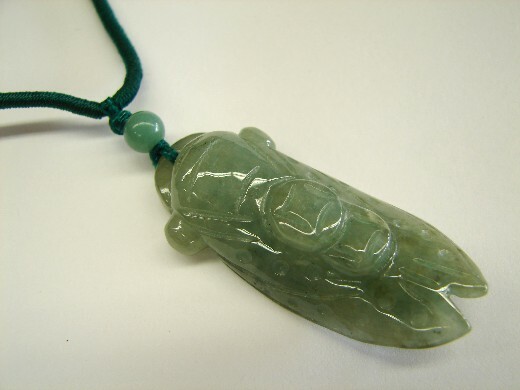 This pendant is similar to the one worn by B. My dream is to be able to design my own Ushnisha Sitataputra or The White Umbrella Goddess pendant. The ones that are available are made of plastic, like the one in the picture, or are made of cloth. They don’t last really long. Furthermore, wearing an Ushnisha Sitataputra pendant will also ensure that you are constantly protected. Having an image of The White Umbrella Goddess at home, in your living room, will also ensure that your house is constantly protected. 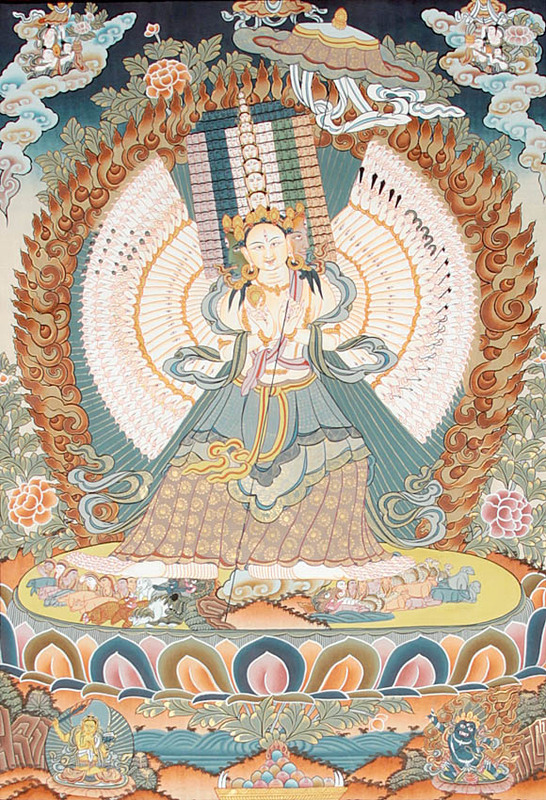 Ushnisha Sitataputra, better known as the White Umbrella Goddess, is one of the female manifestations of Avalokitesvara, the Bodhisattva of Compassion. It should be noted that Ushnisha Sitataputra, although she has similar traits with Kuan Yin, is not Kuan Yin. 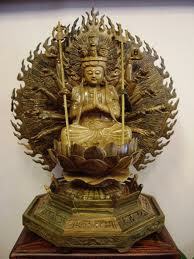 Kuan Yin is literally Avalokitesvara as female Bodhisattva. 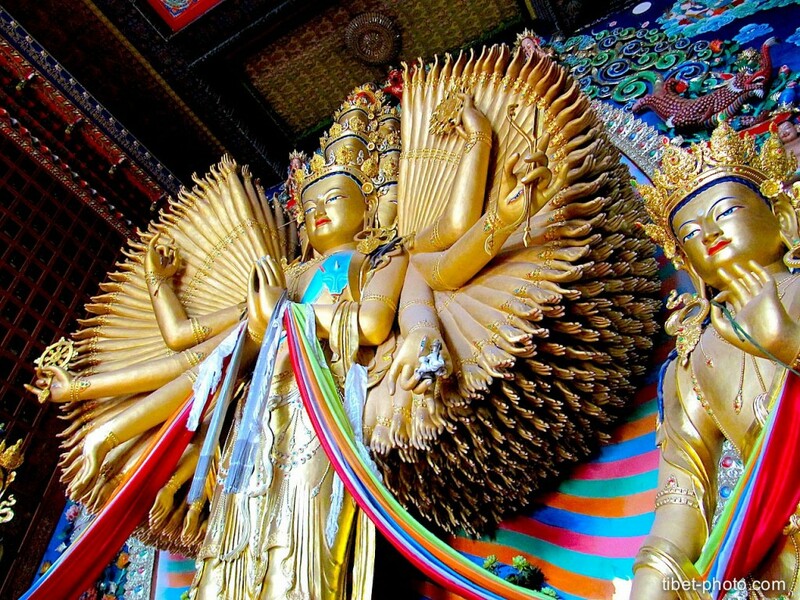 To understand this better I suggest you read my earlier post entitled – UNDERSTANDING MERCY AND COMPASSION: THE TRANSFORMATION OF AVALOKITESVARA TO KUAN YIN. However, Ushnisha Sitataputra is a female manifestation of Avalokitesvara, the difference is Kuan Yin has retained all the exact character traits of Avalokitesvara, while a Ushnisha Sitataputra or The While Umbrella Goddess serves a slightly different purpose. Ushnisha Sitataputra directly translates as the ‘The Victorious Goddess of White Parasol’, and she does signify victory over all harm and danger, especially those of supernatural causes. According to Lama Zopa Rinpoche, reciting the mantra of Ushnisha Sitataputra will help illnesses, bring auspicious luck, prevent harm from happening, and drive away evil and negative energies. 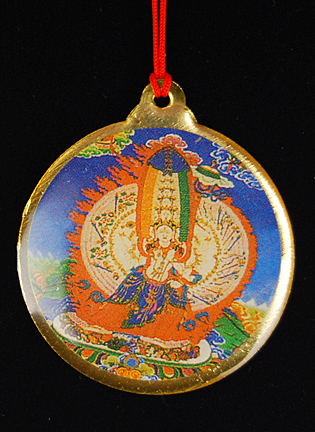 The Tibetan Buddhists regard Ushnisha Sitataputra or The White Umbrella Goddess as one of the most powerful deity. 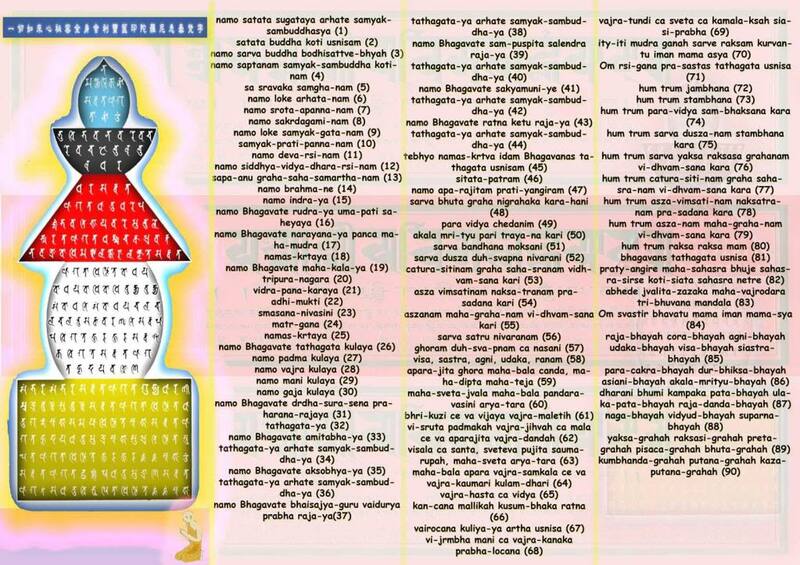 The famous image of Ushnisha Sitataputra is the one where has a thousand face, thousand arms, and a thousand legs. Each of the face has three eyes, and she also has one eye in each of the palm of her hands and sole of her feet. This is to represent that she watches and protects all sentient beings. Her body as in her central faces glows in white, her right faces are yellow, her rear faces are red, and green is the color of her faces on her left. At the top of her head is another tier of blue faces. Her right hands hold the Dharma chakra, while her left hands hold arrows. She also has a white parasol on her left, which symbolizes the blessing of protection. This particular image of The White Umbrella Goddess can be likened to the Thousand-Hand Kuan Yin or Thousand Hand Avalokitesvara. 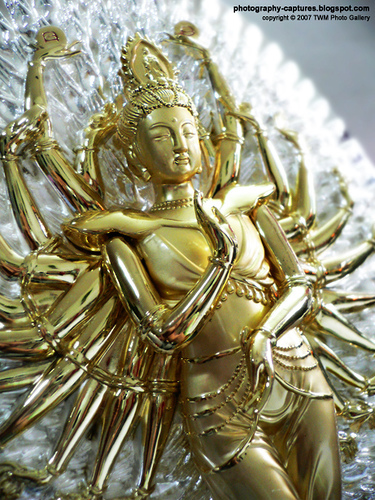 This is similar to the Thousand-Hand Kuan Yin we have at home. 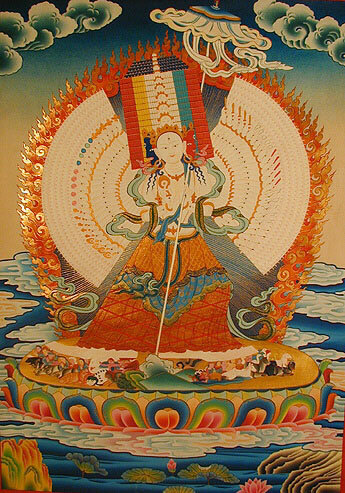 Another image of Ushnisha Sitataputra or The White Umbrella Goddess is the simpler and can be likened to the White Tara. In this subdued image of Ushnisha Sitataputra, she has 7 eyes, very much like the White Tara. Also white in color, she has one face with three eyes, two hands with one eye each on each palm, and 2 legs with one eye each on each sole. Her right hand is in the mudra of supreme generosity and also holds a Dharma chakra, while on her left she holds the famous White Parasol or White Umbrella of protection. However, in this version, the parasol is adorned with various jewel and ornaments. 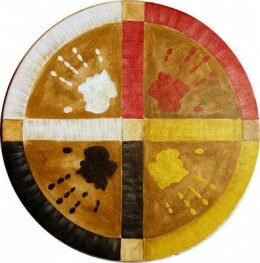 The other day, I talked about the FOUR DIFFERENT TYPES OF LUCK BASE ON YOUR KUA NUMBER, today allow me to share with you the 4 different types of bad luck base on your Kua number. 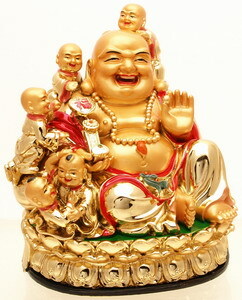 One of these bad lucks is called HO HAI, which is loosely translated as ‘accidents and mishaps’, this is a unlucky direction in the sense that continuously confronting or activating this luck by facing its corresponding direction base on your Kua number will create some bad luck that should have been otherwise preventable. For example, you can fall off the stairs and break a leg, or through carelessness might miss out on some detail with work that might create some problem with your boss or colleagues or clients. LIU SHA or “Six Killings’ is another bad luck. This basically attacks your career and wealth luck. Meaning, you might lose a job or get into trouble because of it. It’s secondary effect is with the family, you might have a broken family or have some financial problems because of family matters like a family member that gets into gambling or an illness that will need long term care thus creating financial problems. If you wish to know more about how to calculate your Kua number you can also read my post called – WHAT IS FENG SHUI KUA NUMBER AND HOW TO CALCULATE IT. A few post ago, I wrote about – WHAT IS FENG KUA NUMBER AND HOW TO CALCULATE IT. In that particular post I wrote about the different types of luck and bad luck base on different directions as dictated by your Kua number. 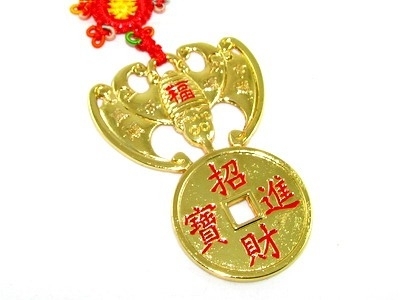 Today, allow me to share with you the 4 different types of good luck base on your Kua number. The four different good lucks are SHENG CHI (Success), TIEN YI (HEALTH), NIEN YEN (Relationship/Love) and FU WEI (Personal Development/Growth). 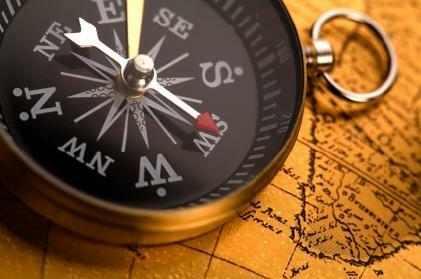 It’s advisable to always bring a compass with you if you really want to ensure that you always activate your lucky directions. SHENG CHI, which I have indicated as the ‘Success’ direction, is actually loosely translated as ‘generating chi’ or ‘generating energy’. Most Feng Shui experts and Chinese believes that this is the best amongst all the four different luck, because this largely governs your personal success, especially in business, or if it is wealth growth and prosperity that you’re looking for. This direction also governs your ‘political’ potential. By political I don’t mean it to be the real sense of politics but more of how you handle situation in your professional life. This is also the direction that governs your recognition luck. TIEN YI is loosely translated as ‘heaven’s doctor’. This largely governs one’s health. If you are experiencing health problems or is afflicted with the illness star it’s best to have your head face the direction of your Tien Yi when sleeping, just make sure that the illness star is not in that direction on that particular year. However, Tien Yi is not only about health, it also provides medium range wealth and career luck. So some people consider this as the second best luck. NIEN YEN’s loose translation is ‘descendant and longevity’, but as you can see the English translation that I indicated is RELATIONSHIP/LOVE, because this directions basically deals with primarily family relationship luck and descendant’s luck. This is also the luck that governs your all your relationship that includes love life. This is also a secondary health direction, so if you’re sick and is unable to face your Tien Yi direction, this is the second option. 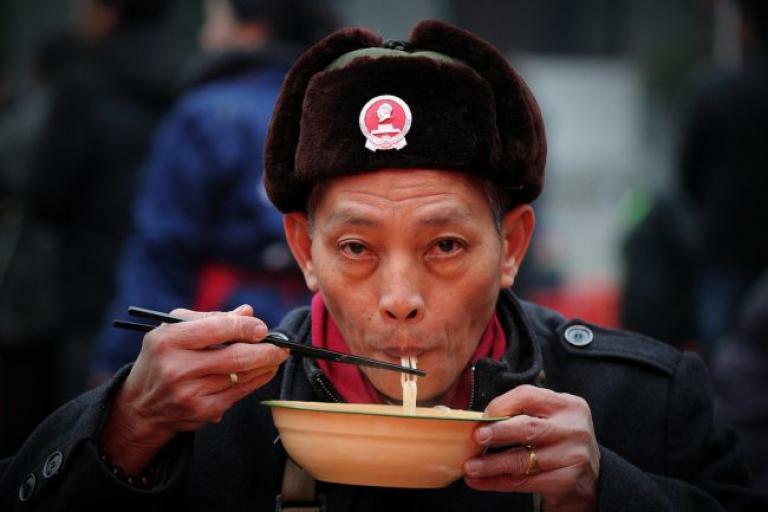 It’s quite easy for us to misinterpret that Sheng Chi is the best luck; in fact, this is the case with most Chinese and some Feng Shui experts. However, I don’t think this is the case, each of the lucky and it’s corresponding directions base in your Kua number serves it’s own purpose. 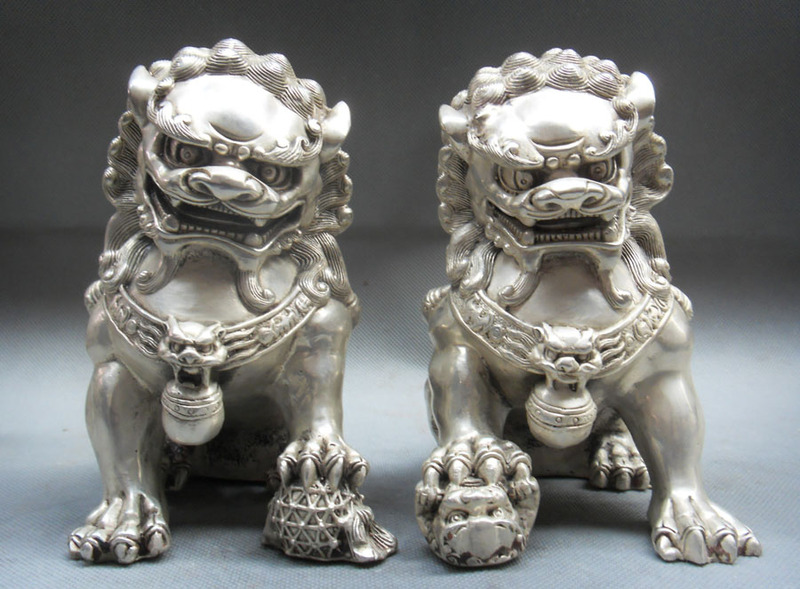 For example, you may be enjoying career success and financial luck but is going through a tough personal fulfillment phase; you can activate your Fu Wei and need not concentrate too much on your Sheng Chi. You also may be a successful businessman, but your health of family life is bad, then you can activate your Tien Yi and Nien Yen respectively. It’s really finding the right balance and looking for what’s missing in your life or what would be your priority. If you have the lucky directions, you also have the unlucky directions. If you wish to know more about it you can read my post – FOUR DIFFERENT TYPES OF BAD LUCK BASE ON YOUR KUA NUMBER.